A lot of us like to practice yoga, even if it’s only sporadically. Hopping on the mat and stretching out all of those tight muscles after a long day sat hunched over a desk can feel amazing and has incredible benefits for the body and mind. But yoga isn’t just about stretching certain muscles, doing certain poses and then hopping off the mat to go home. 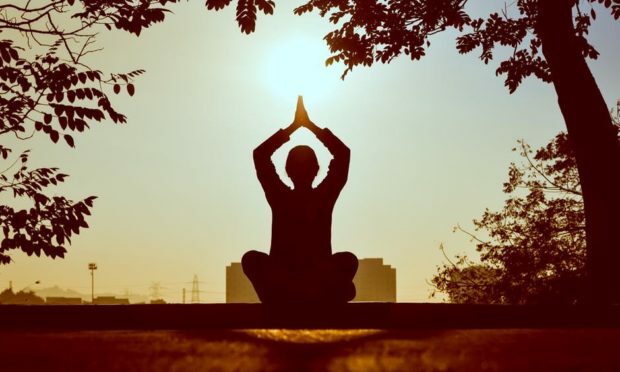 For true Yogis, yoga is a lifestyle, and as more and more people discover the healing powers of yoga practice, more are becoming interested in living a yogic lifestyle. Fashion plays a key role in many of our lives. It’s how we express ourselves and keep ourselves protected from the environment. What you wear can have a huge influence on how you feel and how others perceive you and therefore what you wear and how you wear it becomes an element in living a yogic lifestyle. Yogic living is all about living in unity and harmony, and being kind, so this should reflect in your fashion choices. Those who incorporate yoga into all parts of their lives often choose to wear clothing that makes them feel good physically and mentally, but also helps the rest of the world out too. Fast fashion is becoming a huge problem in today’s society, so choosing clothes that are ethically made can have a substantial impact on changing that. Education doesn’t end once you leave school, or yoga teacher training, or finish university etc., all Yogi’s know this. Education is a lifelong process, and to some, it’s the meaning of life itself. However, many of us associate education with sitting bored at a desk for hours at a time, highlighting and creating flashcards. It doesn’t have to be this way. Incorporating education in a yogic way means that you follow your own passions and desires. It doesn’t have to be slaving away over old philosophy texts, it can be as simple as picking up a magazine. Creative, inspiring magazines like Artful Living Magazine Minneapolis, Minnesota are often popular among yogi’s. Very few people are purely artists or purely scientists. More often than not, we are a mix of many different interests and artistic desires. Art is a very broad term, and chances are you already produce some art yourself, or at least have an interest in doing so. As part of a yogic lifestyle, art can help us express ourselves, work through difficult emotions and spread a message to other people. Your yoga practice doesn’t necessarily have to form a core component of living a yogic lifestyle, however for many, it does. Practicing yoga can be a highly spiritual practice that creates stability, balance, peace of mind and cultivates a kinder, more generous attitude towards the world. Your health is key to maintaining a yogic lifestyle. You’ll find very few yogi’s who spend their days binging on KFC and Oreos. Your body, and mind, is a vessel, so looking after it is incredibly important and will make all of the previous steps much easier. There is so much more that goes into living a yogic lifestyle, but these are some of the core components. There are even entire books such as the Yoga Sutras of Pantanjali that guide you towards living a yogic lifestyle. For the new yogi however, these can be a bit overwhelming, so hopefully this guide gives you a good head-start.